A green-hued aquamarine heads up this large sterling silver pendant along with a lucious deep green faceted tourmaline and a bright natural quartz. 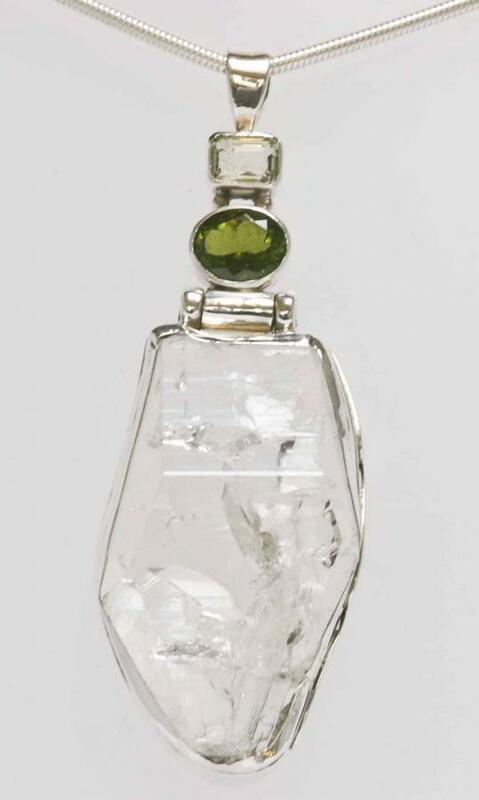 The lower quartz section of the pendant is hinged and features decoration to one side of the setting. .
Clean jewellery regularly with a silver polishing cloth to prevent the build up of damaging tarnish. These stones can be cleaned with warm soapy water and rinsed clean. Do not leave the pendant soaking in water as you may dislodge stones.